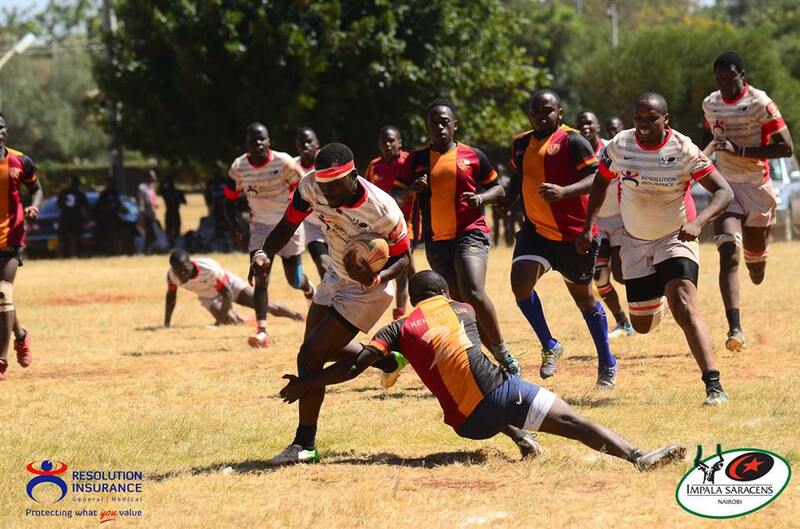 Homeboyz and Impala Saracens bagged away wins in the ninth round of the 2018/19 Kenya Cup to keep their playoffs alive on Saturday Feb 9, 2019. Homeboyz beat Mean Machine 13-22 at UoN Grounds while Impala beat hosts Menengai Oilers 22-24 as well as bagging a bonuses on the road courtesy of scoring four tries. Both sides lost on matchday eight where Impala went down to Quins while Homeboyz fell to Strathmore Leos. Israel Soi, Thomas Okidia, Steve Otieno and Evin Asena were on the score-sheet for Homeboyz with Mohamed Omolo converting one try. Impala's next game is away to KCB as Homeboyz head to Kakamega to take on the unbeaten leaders Kabras Sugar.